Our Las Vegas location offers a wide variety of Ooze Life cannabis gear for our customers. Come by or contact us our knowledgeable staff to help you pick the right vaping equipment for you. Ooze Life is a Michigan based company with a goal of enhancing the consumer experience by providing products compatible with concentrates, tobacco, and essential oils. Ooze jumped in the vaping game in 2007 and has been creating high-quality products without the high price tag that follows. Their extensive knowledge in the vaping business has allowed them an intimate understanding of what their customers want, need and how to make their pens last longer. The Dispensary NV carries a variety of their glass pens, globes, batteries, and chargers to ensure you’re getting the optimal experience. The Ooze glass blunt is perfect for those who don’t have time to roll one up. The glass slider makes it a simple three-step process of sliding open the door, filling up the chamber and then lighting up. The glass blunt slider is not only a great time saver, but it also is made with crack resistant glass to protect it from the occasional drop. The globe comes in four variations – curved neck, ridged neck, long neck and double bubble. Each of these globes are made from hand-blown glass and include an Ooze domed quartz coil to provide the best taste. The curve neck globe and double bubble attachments are as easy to use as they are to clean and provide the user with the best vaping experience. All four globes pair great with any of our batteries to lessen the burden of not having the right battery on you. The Ooze variety doesn’t stop at the globes and pens – even their wide battery and charger variety have everything to fit your needs and budget. USB chargers and twist vape batteries mean you’ll always be ready to recharge wherever you are. 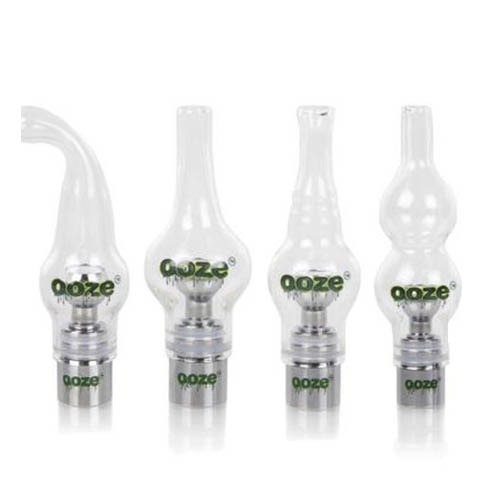 The Dispensary NV has a wide assortment of Ooze products to fit whatever the occasion may be. Our team is happy to answer any questions about the pens, globes and more to help find what will suit you best. Stock and availability may vary between our Las Vegas, Henderson, and Reno locations.